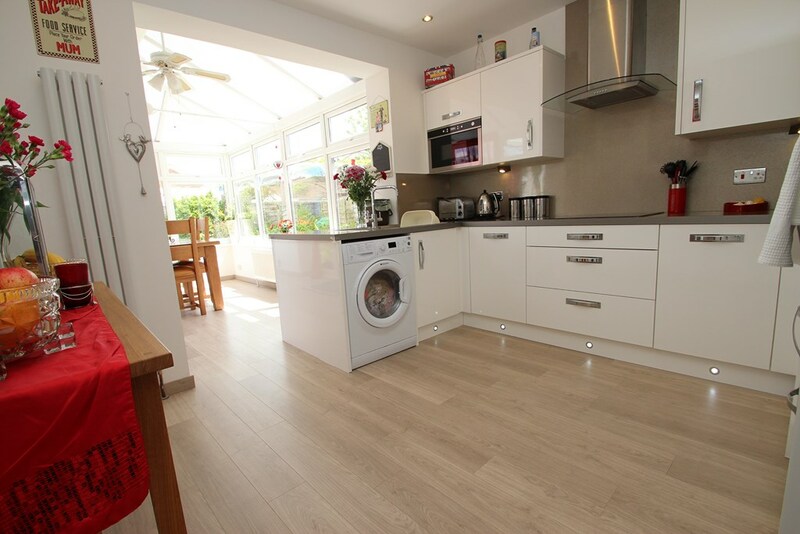 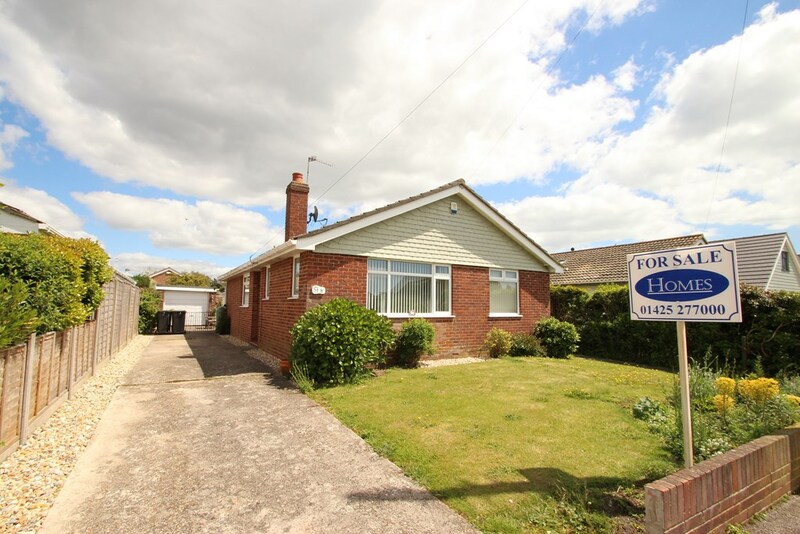 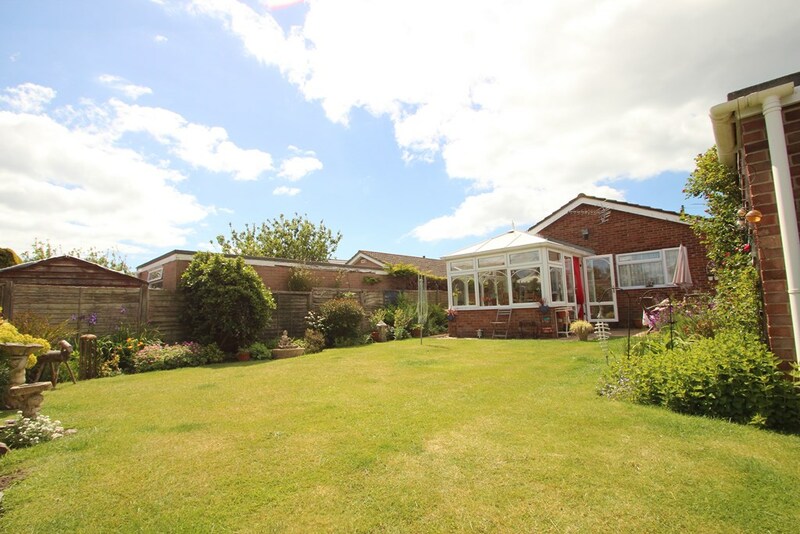 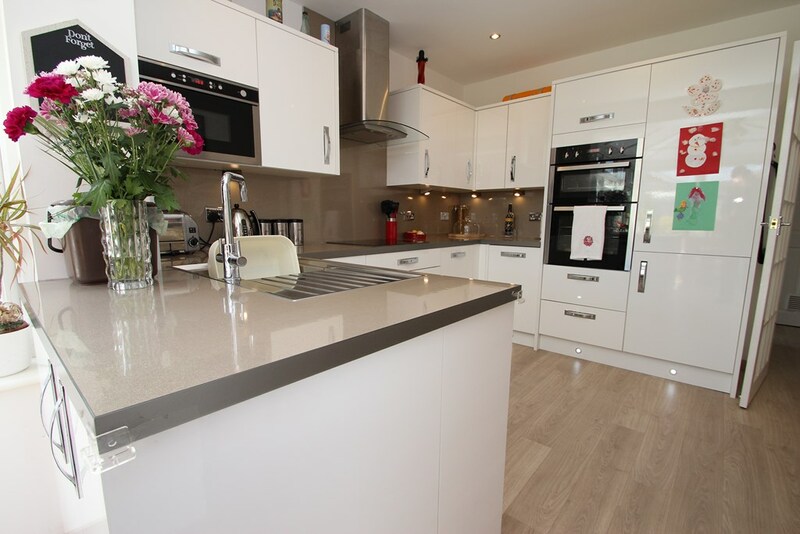 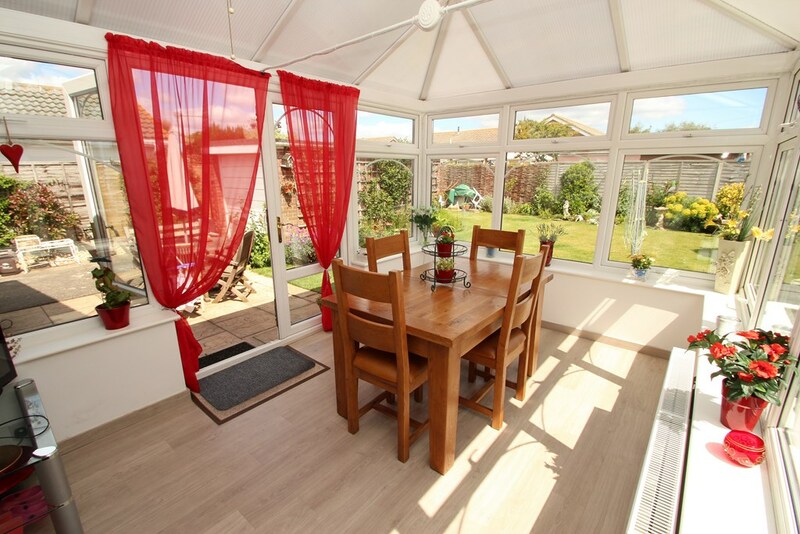 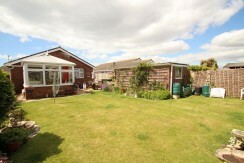 A beautifully presented three bedroom detached bungalow which benefits from a modern kitchen & bathroom, a superb UPVC conservatory & well tended gardens, situated in a sought after location in Mudeford. A UPVC double glazed door leads from the vestibule into the hallway of the bungalow where a hatch leads up to the loft space, there’s a good sized storage cupboard and doors lead into all rooms. 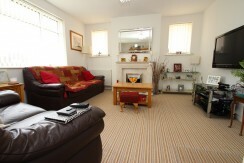 The lounge / dining room is extremely generous in its size, overlooks the front aspect and benefits from a feature central fireplace with an electric fire. The modern kitchen has been re-fitted with a stunning range of wall mounted and floor standing units surmounted by work surfaces, there’s an inset stainless steel sink unit with mixer taps and a side drainer, built in ‘eye level’ double electric oven, inset electric hob with a stainless steel extractor hood above, built in fridge freezer, built in dishwasher & space and plumbing for a washing machine. 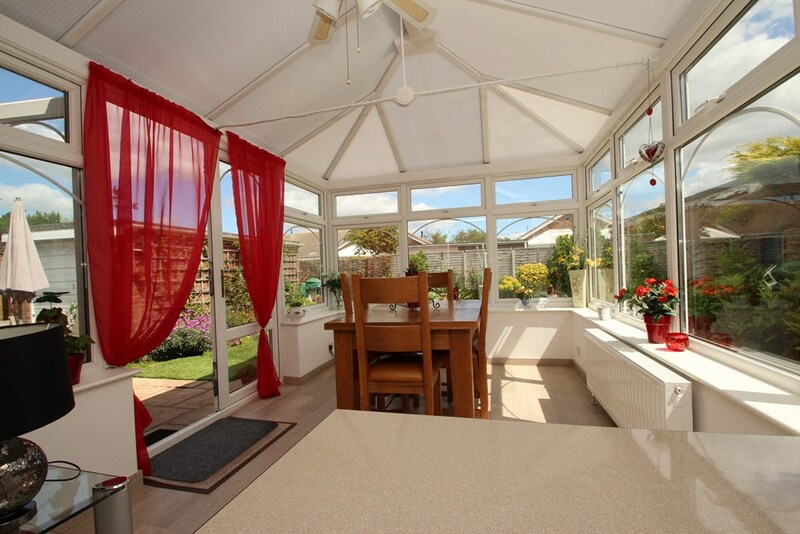 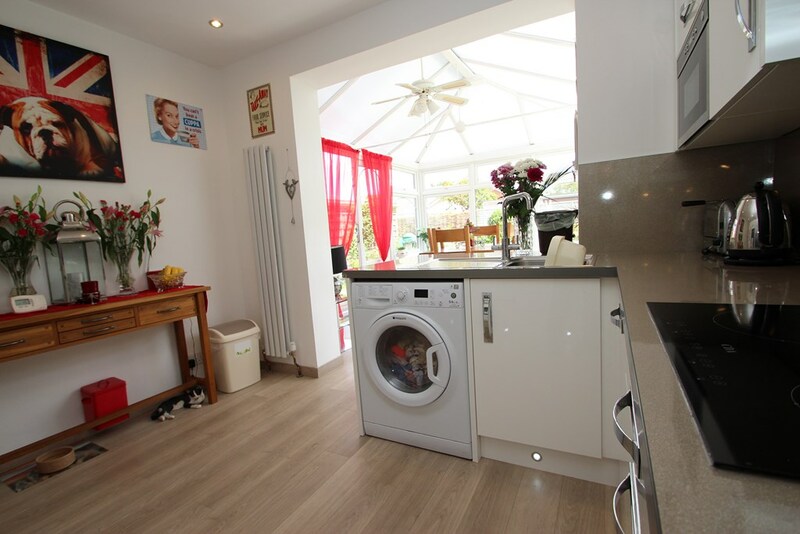 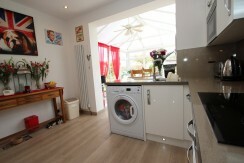 A squared arch opens out from the kitchen into the impressive UPVC conservatory which has a pitched roof and double opening casement doors lead out onto the well tended rear garden. 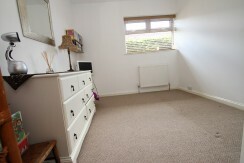 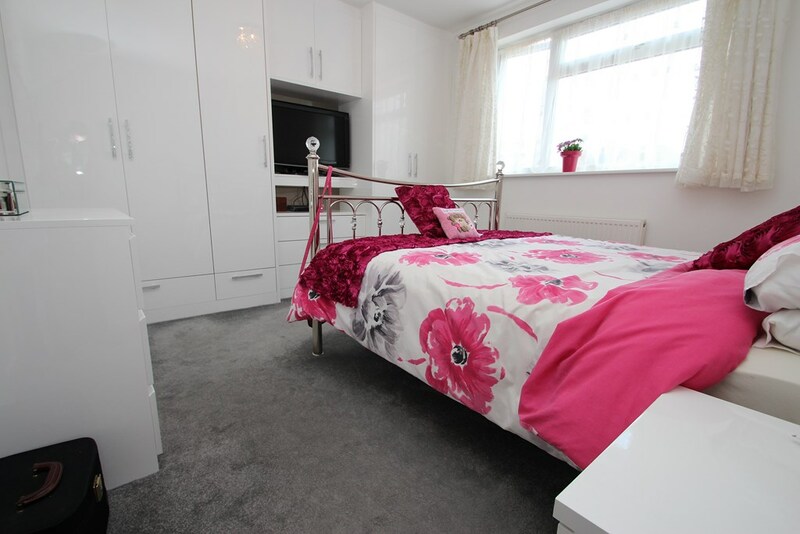 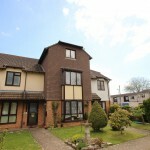 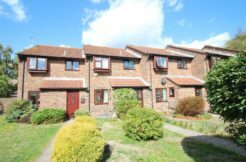 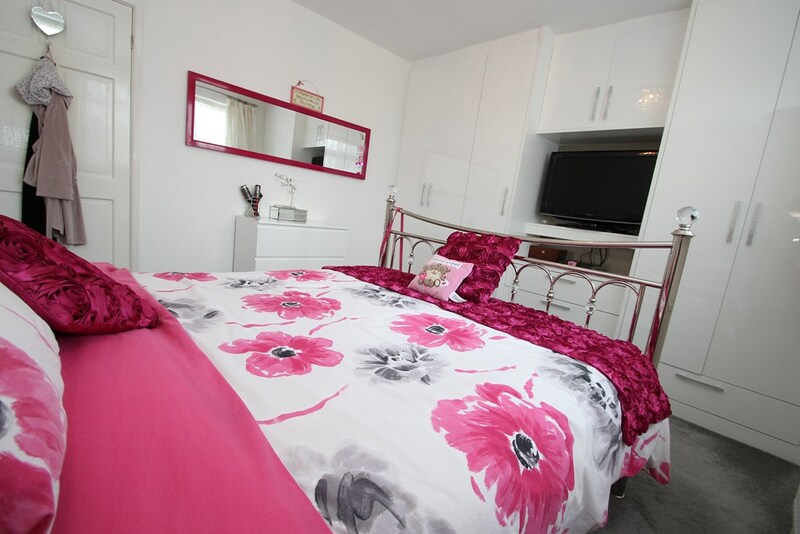 The main bedroom is a large double room and benefits from a good range of fitted furniture, bedroom two is also a double room with bedroom three being a single. 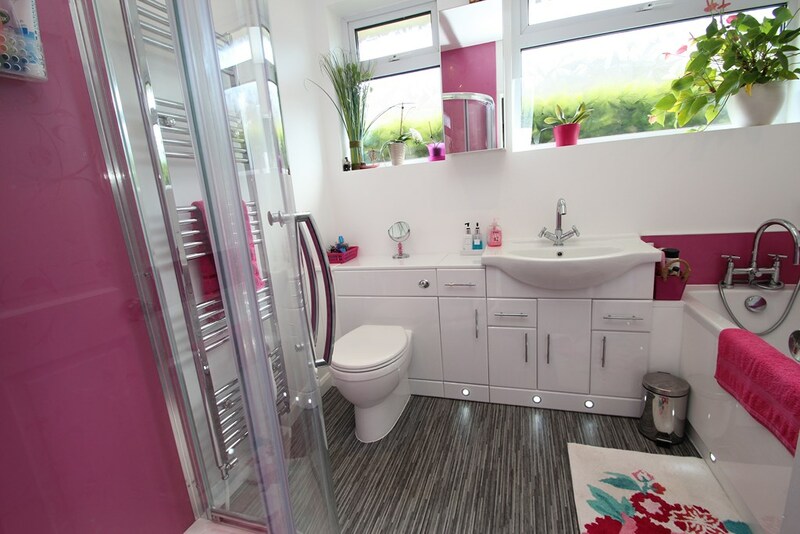 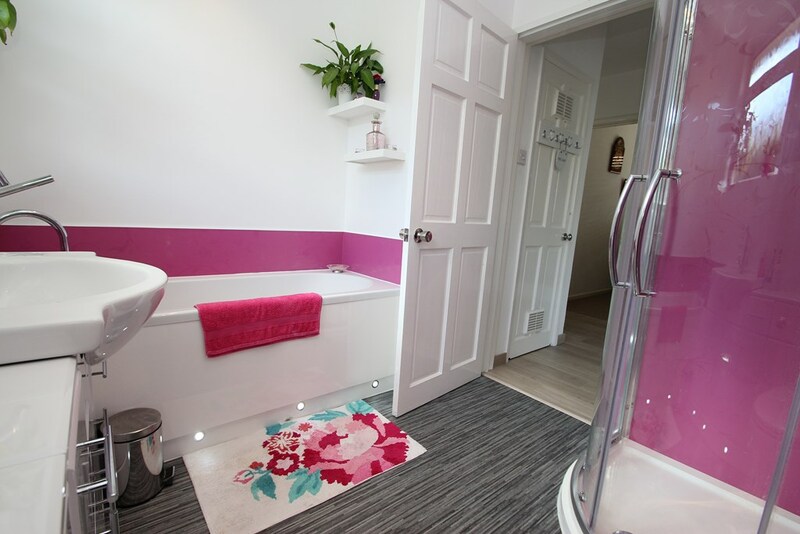 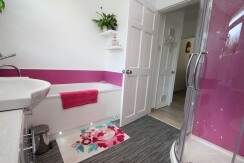 The bathroom has a panelled bath with mixer taps and a shower attachment, a separate corner shower has a power shower system, a wash hand basin is mounted into a vanity unit with storage cupboards beneath and shelving to one side and there’s a low flush WC with a concealed cistern. 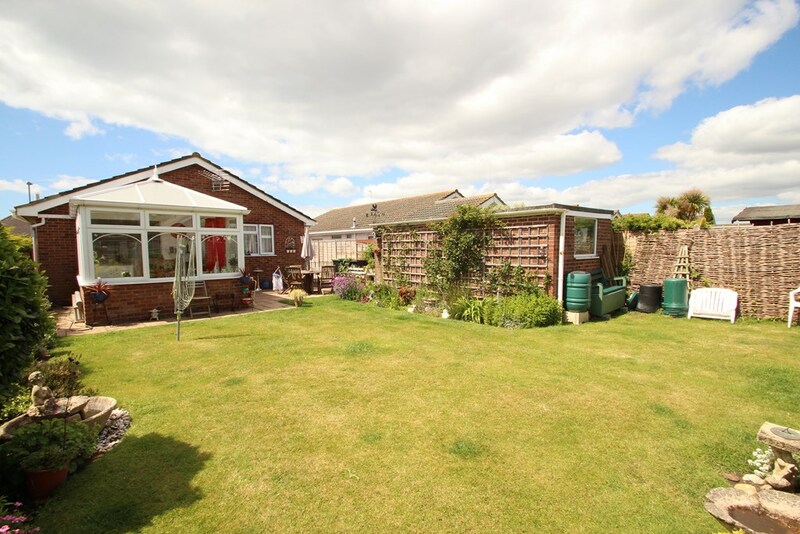 The rear garden has a patio area that adjoins the back of the bungalow and leads to the garden which has been laid to lawn, there are neatly placed borders that display a colourful array of plants and shrubs, there’s also access into the detached single garage. 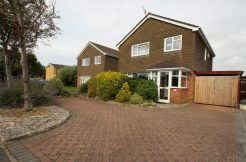 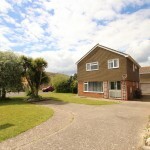 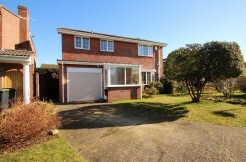 The front garden is laid to lawn with borders displaying mature shrubbery, the driveway offers parking for numerous vehicles and in turn leads to the detached single garage which has an up and over door, power and light.